A plant-based toothbrush with a replaceable head! Vegan and carbon-neutral. 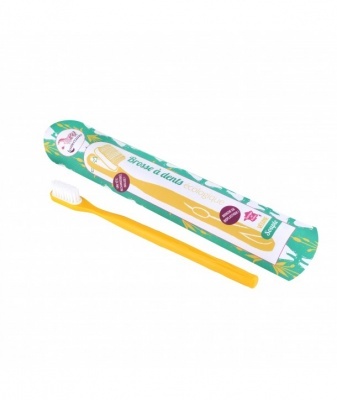 This toothbrush has a plant-based handle with a recyclable and replaceable head! 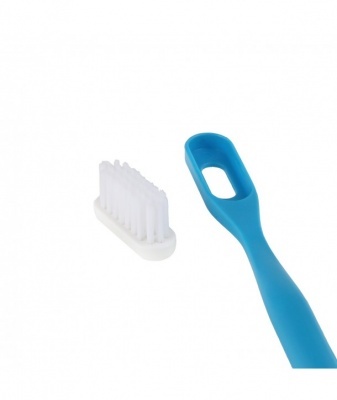 Lamazuna toothbrush with a replaceable head. 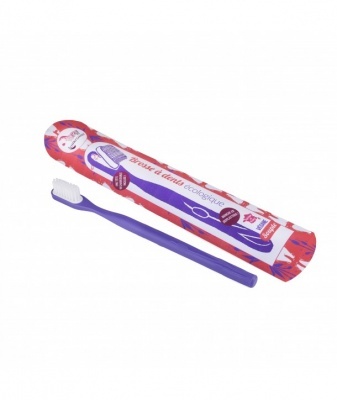 Available in soft or medium bristles. It took a year and a half of development to come up with this product, which is as carbon-neutral as possible. The bioplastic handle is made in France! The handle of this toothbrush is composed of 70% castor derivatives, mixed with 30% plastic so that this material supports the humidity of the bathroom and friction during brushing. 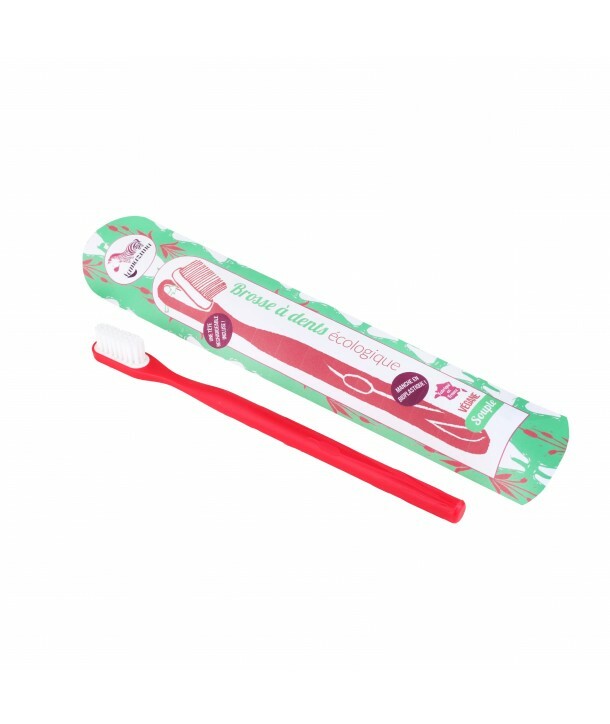 The head of this toothbrush can be replaced and recycled via Terracyle, which will then be reinjected into the next production. Keep the handle, just change the head! A pack of replaceable heads is available here. 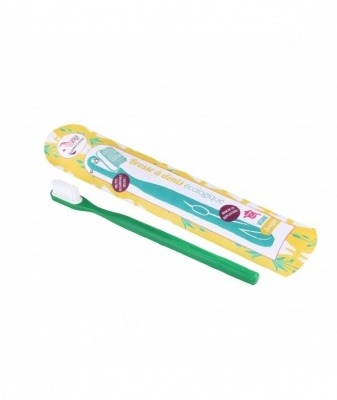 Every three months, the bristles of the toothbrush wear out, then its time to change only the head! Unclip the current head, clip in the new. The toothbrush head is available in soft and medium. A pack of replaceable heads is available here.